Gone are the days of dusty strategic plans in binders and 20-year campus master plans. The new normal in planning calls for agility, transparency, and clarity. This targeted event will seek to address critical questions in the new normal. How do you grow your campus capacity to plan? How can you connect planning, spaces, and the student experience? What are the most effective ways to tie spaces and places to vision? What are the roles of net revenue and financial forecasting in planning success? Once you have a plan, how do you implement it? 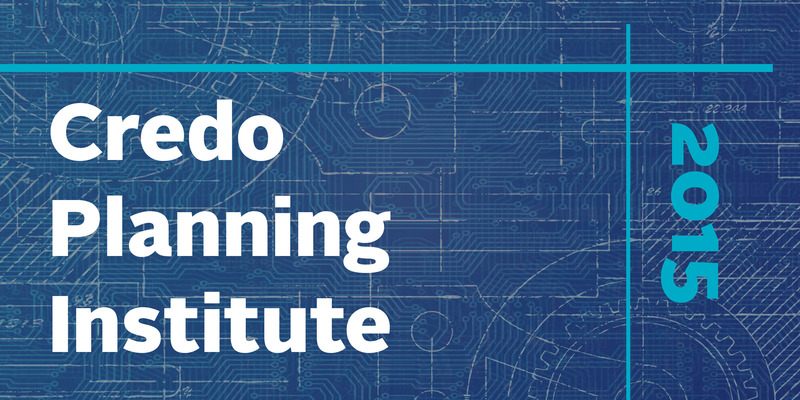 Join us in an exploration of next practice in higher education planning. Registration is Monday, April 13, 2015, from 3:00 - 6:00 pm. You may also check in at 8:00 a.m. on April 14, 2015. Enjoy the best of Greensboro at the Greensboro Marriott Downtown. With recently renovated event spaces and a central location only blocks away from many local restaurants and venues, the Greensboro Marriott Downtown is a perfect destination for business, leisure, and everything in between. Get a special Credo group rate of $149 when you book online.